We are very excited to share with you the launch of our Customer Loyalty program. Over the years alpaca farms across the country have embraced the fiber side of their business and through hard work and a true grass roots effort have successfully made their farm that much more successful and sustainable. It's truly been inspiring to watch over the last two decades farms continue to grow their business year after year. Without leaders like you, the U.S. Alpaca Fiber industry wouldn't be where it is today and have so much potential moving forward. We appreciate your continued support. This program is our way of rewarding your hardwork and commitment to success. Reward tiers are calculated every few weeks and are based on sales history over the previous 365 days from calculation date. We are officially getting excited for the show! The Showtacular Alpaca Show in Syracuse, NY is just 2 short weeks away. We are looking forward to showcasing all of our products released over the last year. If the stars align, we will also have some brand new product debuts at the show! Need an order delivered to the show? & we will have it with us for pickup. RSVP Here so we can make sure we have the space to accommodate you! Nothing says Welcome to the World better than the warmth of our U.S. Grown and Made Cozy Baby Blanket! Getting U.S. Alpaca in the Halloween Spirit! The leaves are falling and days growing shorter, now is the time to start promoting your U.S. Alpaca wares to jump off the busy season! Feel free to download this graphic and post it to your website, blog, or any social media platform to help promote your products and business for Halloween. We've also posted it to the NEAFP Facebook, feel free to share it to your page from there! As Fall begins to set in across the country we couldn’t think of a more fitting item to showcase in this month’s product spotlight, our Alpaca Fleck Beanie. National Alpaca Farm Days are just around the corner! If you need to round out your inventory, now is the time to get that last minute order in. Orders of in stock items that meet their requirements are currently shipping within 1 business day. For all time sensitive orders, we recommend using UPS Ground or better. Need it by Friday September 28th? Read the rest of the September 2018 NEAFP Note here! We are excited to introduce our new Basketweave Suri Scarf. Since our Basketweave Infinity Scarf's launch we've had many requests for the same scarf, just in a more unisex style and here it is! Our new Basketweave Suri Scarf is made with a new and improved U.S. Suri Alpaca blend yarn. It features the same timeless Basketweave knit design as our Infinity, but in a unisex style. The combination of the knit pattern and the yarn used creates a scarf with a dynamic texture while being soft and luxurious to the touch. Silky, Lightweight, and Comfortable. Produced in a natural Espresso Brown color. Event planning on the Farm can take on a life of its own but it’s important to put just as much effort into marketing as you do planning and preparing for it. After all - if a tree falls in the forest and there isn't anyone there to hear it, does it actually make a sound? In this case - the barnyards are clean, the alpaca products are priced, the alpaca selfie booth is setup and the free popcorn is popping - but if there isn’t anyone there to appreciate it, does it actually make an impact on your business? The answer is NO. Here are some tried and true “Old School” methods of helping spread the word about your upcoming Farm Event or Open House! USPS Every Door Direct Mailing - Sending out event postcards using USPS’s services to your neighborhood and beyond is a great, cost effective way to ensure your neighbors and friends know about your upcoming alpaca event. Target your entire town, zip code, or even specific mailing routes to pinpoint your target audience. Event Flyers @ Local Businesses - Talk to your local businesses and community centers that reach a similar audience to your target demographics. Event Flyers displayed at businesses with solid foot traffic are a great way to get the word out - just be sure to include a big beautiful photo of your cutest alpacas to make it irresistible! Think breweries, breakfast places, fast casual lunch spots, coffee shops, your favorite bar, the local YMCA, youth center, or place of worship. Co-Marketing with other Vendors - Bringing in other local vendors with similar, non competing products is a great way to help spread the word about your upcoming event. Established vendors will promote to their customer bases and audience to help bring foot traffic. They also will round out the offerings available at the farm event, making people feel it’s something that can’t be missed! You already have your favorite vendor friends that you see each week at the pop up markets - invite them to vend along side the alpacas on the farm! Signs - You found out about neighbor Tom’s recent Yard Sale by seeing his handwritten sign posted up, now let Tom know about your alpaca event by utilizing the same method. Take it to next level by putting together a large poster or lawn sign and having them printed. Make sure it’s readable from a distance, has the most important information on it, and include your alpacas for their brand recognition. Radio Ads - Radio Ads are often an overlooked “oldschool” form of advertising that in recent years has become more affordable and surprisingly effective, especially in more rural parts of the country. Contact your local radio stations that resonate with your audience to learn about what they offer and their pricing structure. Local Media / Newspaper Articles - Many local media outlets and newspapers are always looking for fun upcoming events they can share with their audience, especially a family friendly event like an Open House on the Alpaca Farm. Put together a quick press release with all the most important information and reach out to your local media outlets, many of which will display your event free of charge in their Upcoming Events section. This may even lead to local news coverage coming out and showcasing your event which can result in a huge influx of visitors! Word of Mouth - Your best, most loyal customers are your greatest resource in helping to spread the word about an upcoming event. Use your email list and social media posts to let your biggest fans know what’s going on at the farm. You can also offer a small incentive for people to bring their friends and family: Bring a friend and get entered into our Alpaca Sock Raffle Giveaway! want each dollar spent in advertising to give your business the very best bang for your buck! NEAFP will be closed Monday September 3rd and back in the saddle on Tuesday. We hope you all have a safe and relaxing long weekend, Thank you! 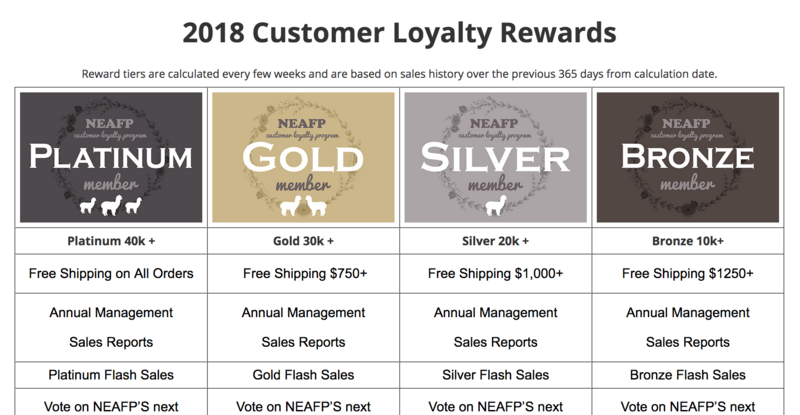 NEAFP Note: All the NEAFP News that's fit to print, + 10 Days left to Stock Up! 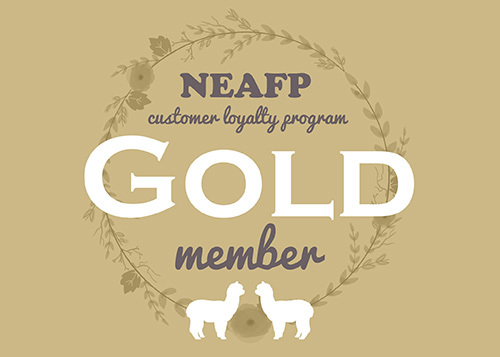 Read the August NEAFP Note Here! New Product: Bulky Weight Knitter's Yarn!!! We are excited to officially announce a brand new Bulky Weight Knitter's Yarn! 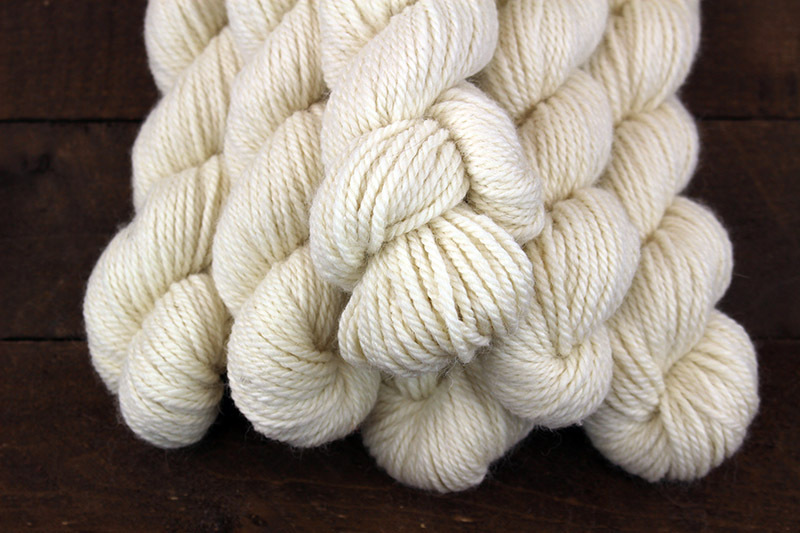 This new yarn is made from 100% all Natural fibers - all grown by U.S. farms! This new All Natural Bulky Weight Knitter's Yarn is made using U.S. Grown Alpaca blended with U.S. Merino Wool. It's soft, warm, and cozy and the bulky sized yarn is great for your quick knitting projects! After sharing with our knitting friends for test projects, the comments are: Buttery Soft, Smooth, Consistent, Bright, & great for finishing up a pattern fast. Skeins are 3.5 oz and approximately 105-110 yards each. This yarn is a 3 ply, giving it strength and consistency making it versatile for a wide range of knitting projects. We are testing Chat support! Introducing a new Support Channel: Online Chat! We are excited to begin using Chat as a new customer support channel. We've activated it on the website now and will be testing it over the coming weeks. We believe this is a great way to help answer questions and solve problems in real time during our normal office hours. The Chat / Message Icon appears at the bottom right corner of every page on our website. Click on that to send us a message or start an online chat (when someone is available!). 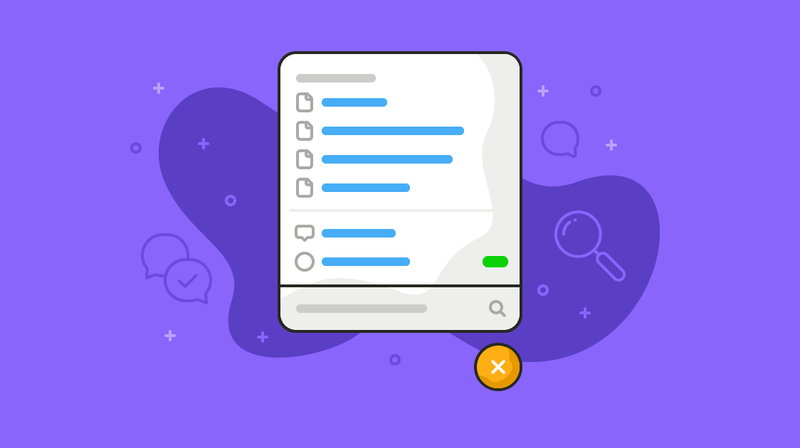 As we test through the work flow of offering chat, we plan to also add a knowledge base to help answer the most common questions. If we happen to be away at that moment - you can still use it to send us a regular support message and we will get back to you ASAP! We are excited to announce our Summer Stock Up Sale is officially live! Now is the time to start getting ready for the fast approaching busy season! We are offering Free Shipping on large orders as well as offering select discounts on a handful of products! out of our brand new Gift & Accessories Category! Our new Alpaca Slouch Beanie has been a long time in the making! We've taken some of our softest U.S. Grown Alpaca and used it to create this unique and modern knit hat. The slouch beanie has that stylish loose look on the top while still keeping your head warm in a wide range of conditions. The headband area features a microfleece lining, keeping the hat snug on your head and blocking wind on your forehead, ears, and neck. The top of the hat stays loose and breathable so you don't get too hot while staying active in the great outdoors. We've designed this hat in house from the ground up to be as stylish as it is warm and cozy and we couldn't be happier with the results! The hat features our new "Mountain Eve" knit pattern using naturally colored alpaca yarn to create the contrasting design. it's 10% OFF from now until August 31st, 2018! 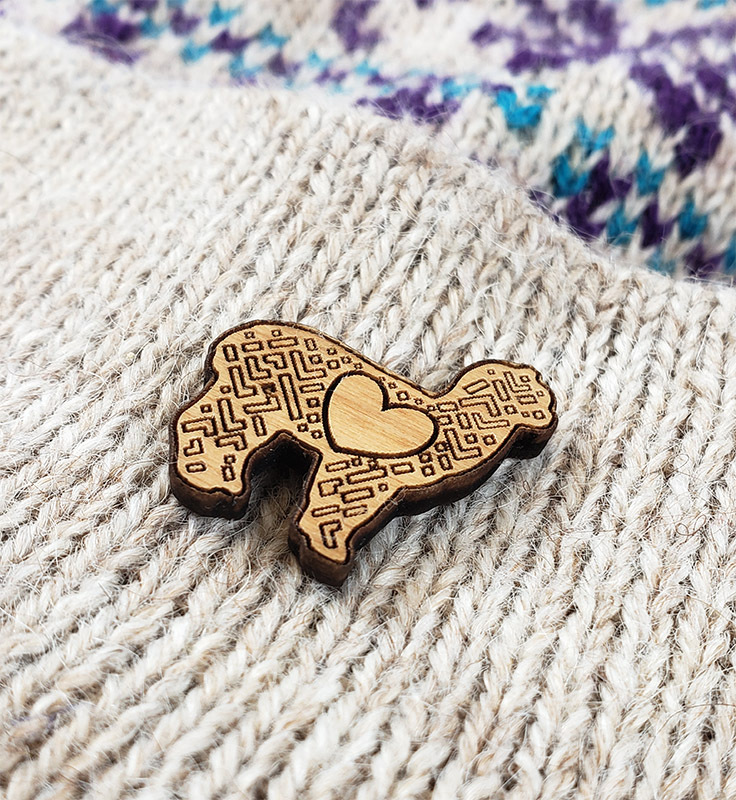 Over the years many farms and retailers have asked for quality alpaca keepsakes they can offer in addition to our existing U.S. Alpaca clothing and accessories. 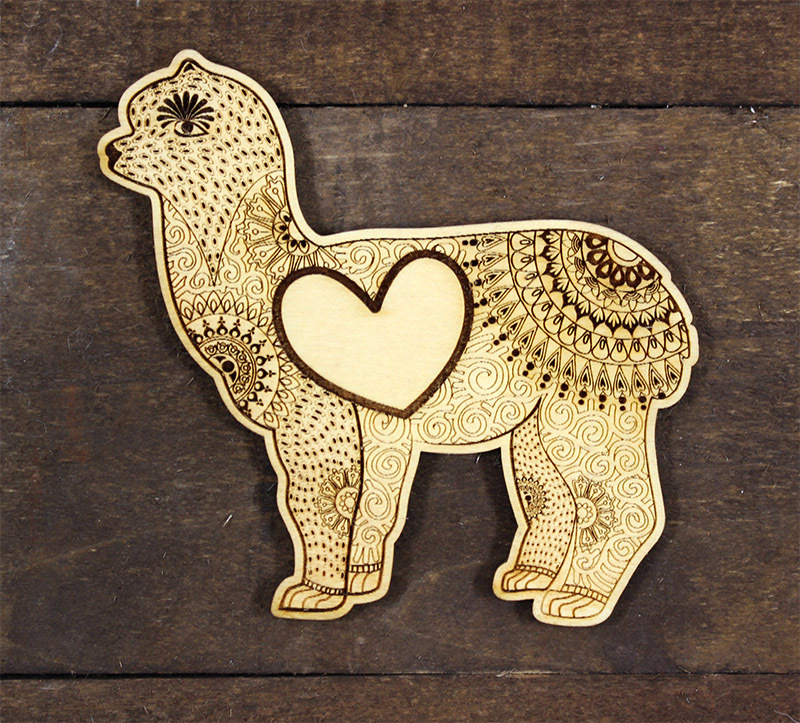 We wanted to offer items that resonated with our values while providing unique, one of a kind products that help promote your growing business and the alpaca brand as a whole. As alpaca's brand awareness increases with the general consumer, more people are looking for fun and unique ways to take home a little slice of the alpaca pie. 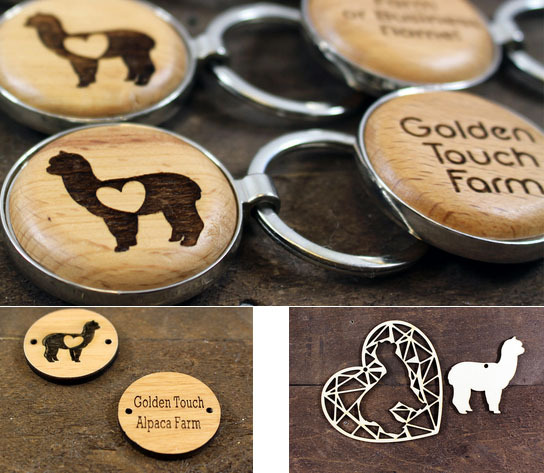 We are excited to introduce these new offerings: Alpaca Gifts and Accessories, most of which can be custom laser engraved with your farm, business, motto, or anything else you can dream of! 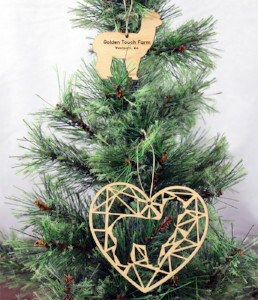 Get 1 or 100, give away to your best customers and friends as a marketing tool or take advantage of quantity discounts & offer as a cute little keepsake in your farm store. By having the ability to design, prototype, and produce a vast majority of these products in house we plan to be consistently adding new and exciting items to this category. Due to us producing and engraving these new products on demand in house, we don't know how long the queue will get when we get into our busy Fall and Winter seasons. Current production turn around is just 3 to 5 days, even for custom engrave orders, so now is a great time to check these new items out and get your order in the queue! P.S. Have a product idea for our new Gift and Accessory category? I'd love to hear about it, click here to email us! NEAFP's mill and office will be closed for our annual 4th of July Summer Break. and re-opening Monday July 9th. If you have a time sensitive order or an event coming up be sure to place your order the week prior to shutdown so we can make sure it get's on it's way to you! We hope you all have a safe (& relaxing 4th of July!) - Thank you! Chris and Shelley of NEAFP will be attending and collecting fiber at the upcoming Parade of Champions Alpaca Auction! Planning to drop off fiber? RSVP Here! Spring Production runs are starting to hit the shelves! We are all channeling our inner yogi and finding the balance between last year's busy season and ramping up inventory for the upcoming season! In the last few weeks many of our staples in various sizes and colors are beginning to finish up and replenish on the website. To see the inventory levels available in each item, size, and color be sure to head over to our Inventory and Production Page (requires account login to view). Be sure to keep your eyes peeled on the Inventory and Production page to stay in the loop as more things finish up in manufacture and hit the shelves! Spring Cleaning: New Sock Closeouts listed! we've begun to list some 2nd Quality Sock Closeouts! making them less than 1st quality. As always there are limited quantities available - get them while available! BOLD Survival Socks are now available in Pink! Although it may not feel like it, Spring is just around the corner and to help usher in the warmer weather we are excited to add a new color to our BOLD Survival Socks. Available now in both Medium and Large sizes!